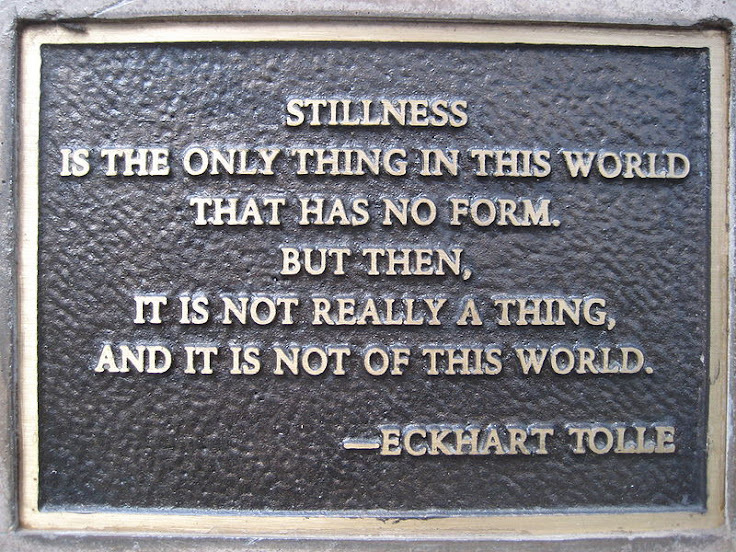 "No matter how turbulent life becomes, there always exists an underlying stillness that is available to everybody. Meditation simply leads us to it". 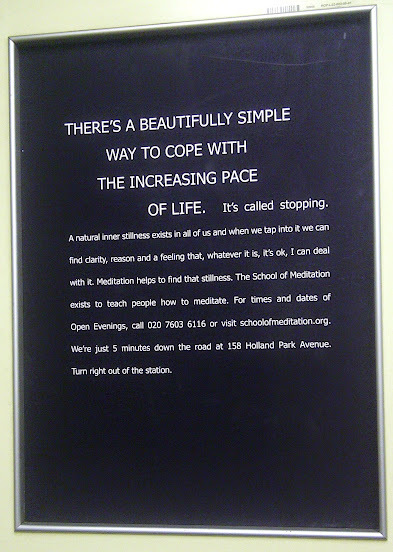 That is the simple and enticing message on the home page of the School of Meditation website. Similarly, an excellent radio programme on meditation used the phrase Don’t just do something, sit thereto advise people on how to use meditation to cope with busy, overwhelming lives. Following up these leads, there are ample podcasts and articles extolling the multiple benefits of meditation. Some of these sources focus on the small, subtler effects, while others emphasise the potential for spiritual enlightenment and self realisation. Your two authors, both healthily sceptical new meditators, had a brainstorming session and come up with a few thoughts of our own. We found it useful to try to capture the impact of meditating while the concepts and practise were still fresh, before the benefits had become internalised and part of our normal lives. We found plenty of common experiences, thoughts and feelings. Meditation has helped stop the cycle of repeated, anxious thoughts. While both of us believed that meditation somehow involved thinking deeply in the contemplation of existential dilemmas, we found that the opposite was true; the act of meditating is simply letting go and just being. The results may be more profound, but the physical act couldn’t be simpler: just sit in a chair. As repetitive, anxious, multi-tasking thoughts have reduced there has been a sharp increase in mindfulness and focus. Our thoughts have been calmer and sharper, finding their natural time and space, rather than having to fit in to the proscribed regimen of a to-do list. Like us, many people report feel lighter and more energised as a result of meditation. Meditation also creates space for more pleasant, creative thoughts and there is a spike in idle, happy day dreaming, which has been allocated more space to operate. Doing nothing is anathema for busy people and at first sitting for just five minutes was excruciating. Doesn’t sitting and doing nothing constitute avoidance bordering on the irresponsible? On the contrary, meditation allows you to acknowledge thoughts and feelings, then let them go, depriving them of their power to dominate you. There is then less focus on how things should be and acceptance of how things actually are. The real fruits of meditation come when you re-engage with the world again in the hours and days after meditating with more perspective and with a renewed sense of bravery and willingness to engage with life. One of the biggest positives we discussed was that our empathy has increased. This is turned outwards to others; the calm that has replaced over-thinking allows us to better judge the moods and needs of other people, freed from viewing them only in the context of our own concerns. Empathy is also turned inwards and the sensitivity shown to others is replicated in the renewed sensitivity we can show ourselves as our awareness of our own inner world increases. So what happens when you meditate? At first the chattering in your head continues. Veteran meditators of many decades report that the chattering never completely goes, but with practise it dissipates. Often, incessant chatter in the first few minutes of meditation is replaced by calm, deep meditation over the subsequent minutes. If you are unable to meditate because of overwhelming stress or unstoppable chat in your head, experts advise you to just give up and try again later. We found our scepticism had been based on false assumptions. Was there something religious about meditation? Was it religion for the non-religious? While all religions promote the practise of meditation, there is also plenty of evidence rooted in science about its benefits. One of the participants on the four week meditation course was a GP who had been advised to research stillness and mindfulness in order to best advise her patients. Our scepticism defeated, our open-mindedness could be rewarded. Meditation is free and always with you. It has the multiple small and subtle benefits we have described, which combine to create profound changes. There is also a physical aspect to meditation; stillness is a pleasant feeling, relaxing and slowing; you emerge refreshed. When meditating with others, the experience is enhanced. Does the intensity increase because you know other people are there? Or is there something more mystical at work? We remain too sceptical to make a judgement on that one just yet. At the School of Meditation on Holland Park Avenue, regular open evenings and short courses are available. There are other local meditation centres, in Shepherds Bush, Kensal Rise, Queens Park and others all easily findable on the internet. Tom Charles and Marta Delgado are freelance researchers, editors and writers living in Notting Hill and North Kensington respectively.